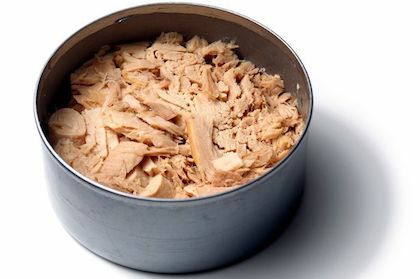 Prior to the 1990’s the majority of American consumers ate their tuna from a can. Your mom would mix it with mayo, celery, onion and serve it between two pieces of white bread. You might have been that kid at school who walked around with bad breath all day. Todays consumers are quickly realizing there's many more options for tuna, outside of the can (Japan has been fishing and eating tuna since the 18th century). Options for wild-caught tuna are trending in restaurants, and local fish markets, and making their way to the dinner table. In the country of Vietnam, Tuna is the most important wild-caught export product, but the tuna population is in danger of being overfished. Overfishing is most likely due to what the World Wildlife Fund (WWF) calls Illegal, Unregulated and Undocumented (IUU) fishing. One issue surrounding IUU fishing is the capture of juvenile fish. Yellowfin tuna typically breed between the ages of two to three years old therefore, tuna caught as juveniles do not have the opportunity to mature and breed. As a FIP, (Fishery Improvement Project) participant, Beaver Street Fisheries continues to support the sustainability efforts made by the Yellowfin Tuna Fisheries in Vietnam. Below is an update on how the Yellowfin FIP is progressing. With a targeted end date of April 2019, the Yellowfin Tuna FIP has made big strides to reach its deadline. The FIP is considered a comprehensive FIP, meaning that the goal of the project is to address all of the fishery’s environmental challenges necessary to achieve a level of performance consistent with an unconditional pass of the MSC Fisheries Standard. The project is on the track to success with a current “A” progress rating. An “A” progress rating establishes that the FIP has reached a stage four or stage five result within the past 12 months. Stage five of the FIP measures the improvements made on the water, such improvements can include an increase in biomass, an increase in population of impacted PET species, and a decrease in habitat impact. Beaver Street Fisheries, Inc. supports collaborative efforts that will lead to the long-term sustainability of tuna stocks and the overall health of the marine ecosystem. We are very proud to have recently signed the Global Tuna Sustainability Appeal Letter that was addressed to the four regional fisheries management organizations (RFMOs) charged with managing the world’s tropical tuna fisheries. For further detail, please see the attached letter.